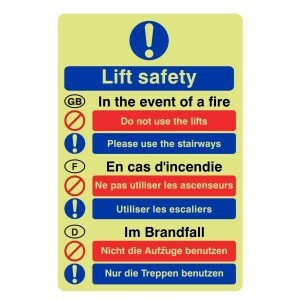 Our Photoluminescent Lift Safety Action Sign has been designed to give employees, customers and residents clear instructions as to what to do in the event of a fire. They are an essential addition to your workplace and should be placed next to each entry/exit door in your building. Suitable for use in a range of different environments, these signs are a hardwearing and durable option. They form part of the legal requirements of businesses here in the UK. By installing this signage in your workplace, you will stay compliant with current legislation including EN ISO 7010:2012. And, in turn, you put the safety of everyone that enters your workplace at the top of your priority. 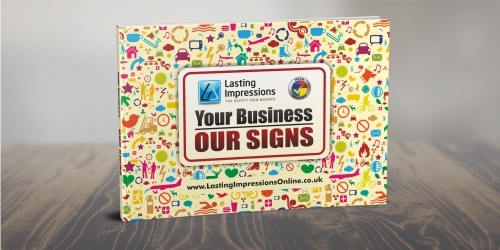 Our signs are available in both photoluminescent self-adhesive vinyl and 1.2mm photoluminescent plastic. Both designs are charged by daylight, natural or artificial light. 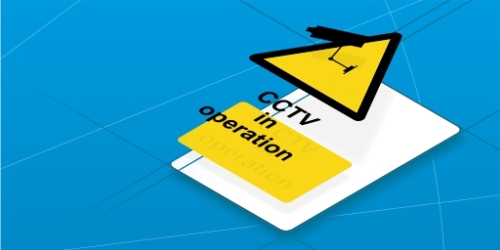 This means that, in the event of a power cut, the signs will illuminate ensuring users are still able to read the relevant information. All of our signs are finished with rounded corners for safe and effective installation. To make them as simple to understand, they use easy-to-recognise imagery and clear text throughout. 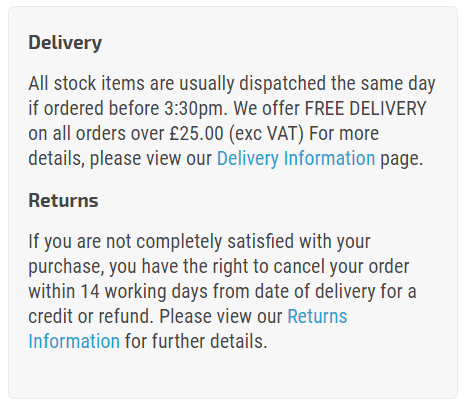 Choose from 2 different sizes, depending on the relevant viewing distance available to you.